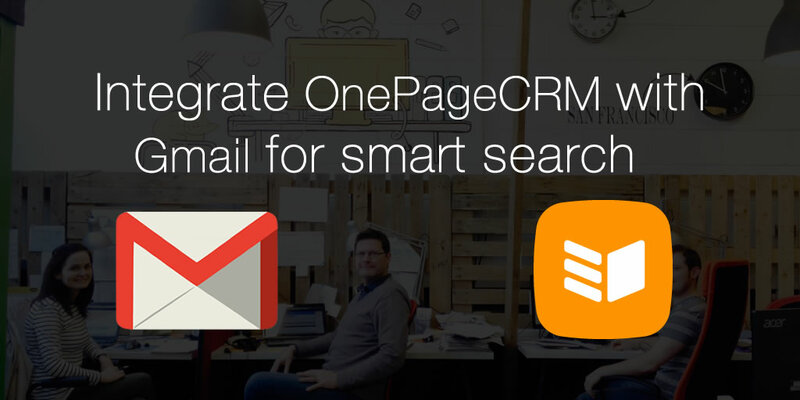 Using the OnePageCRM Smart Search for Gmail, you can review all email correspondence with a contact in the CRM. Simply click on the Gmail icon in the contacts profile to see your full conversations (incoming and outgoing emails) in Gmail itself. 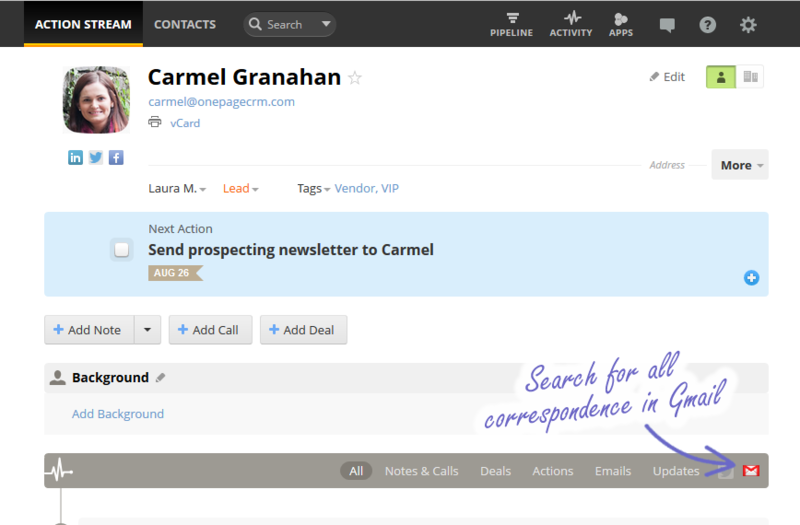 This feature is automatically activated once you select your email client. 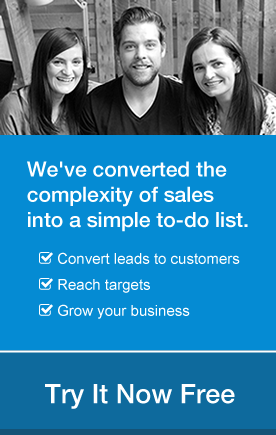 We understand that for salespeople, having emails at your disposal straight from within your CRM, can be a huge advantage. Now using your unique Email Dropbox address you can store a copy of all your emails with a contact in OnePageCRM. This works great for cross-collaboration between teams. For a step-by-step guide on using your unique Bcc email dropbox address, check out our quick video guide below. Does onepagecrm support two way google sync ?